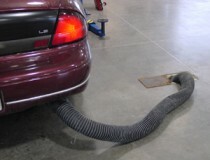 The last Eurovac Solution you were browsing was Inground Exhaust Extraction. Eurovac offers a complete line of vehicle exhaust products for every budget and need, ranging from economical hose drop systems to more user friendly and impressive system options such as spring return hose reels, motorized hose reels and sliding suction rails. 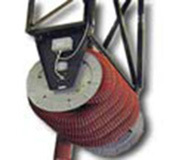 However; Eurovac offers much more than just vehicle exhaust drops, reels or rails, we offer complete system solutions. 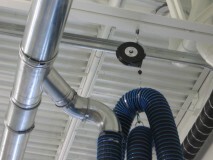 Eurovac will properly engineer, install and commission the entire system for you from the drops, reels or rails to the ducting and right back to the exhaust fan.